7:15 a.m. - 4 p.m. Whether you're in between classes or research stop by the Falcon's Nest Coffee Shop where we proudly serve a full line of Green Mountain Coffee. 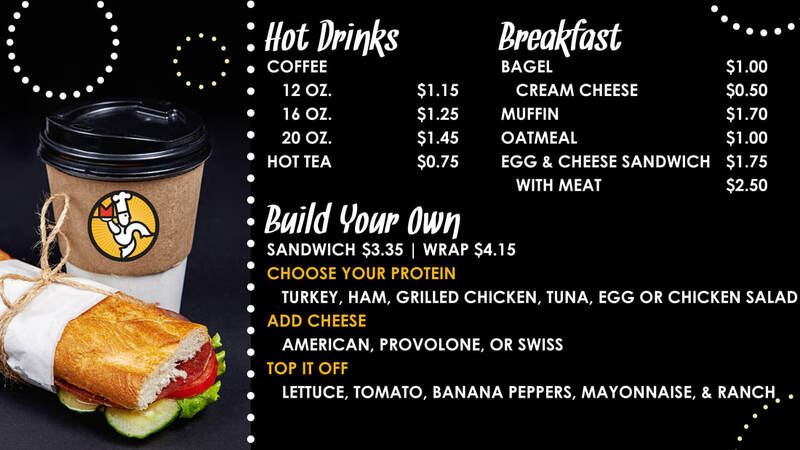 We also serve breakfast sandwiches, pastries, snacks, and Up for Grabs items, lunch wraps, salads, and deli sandwiches.